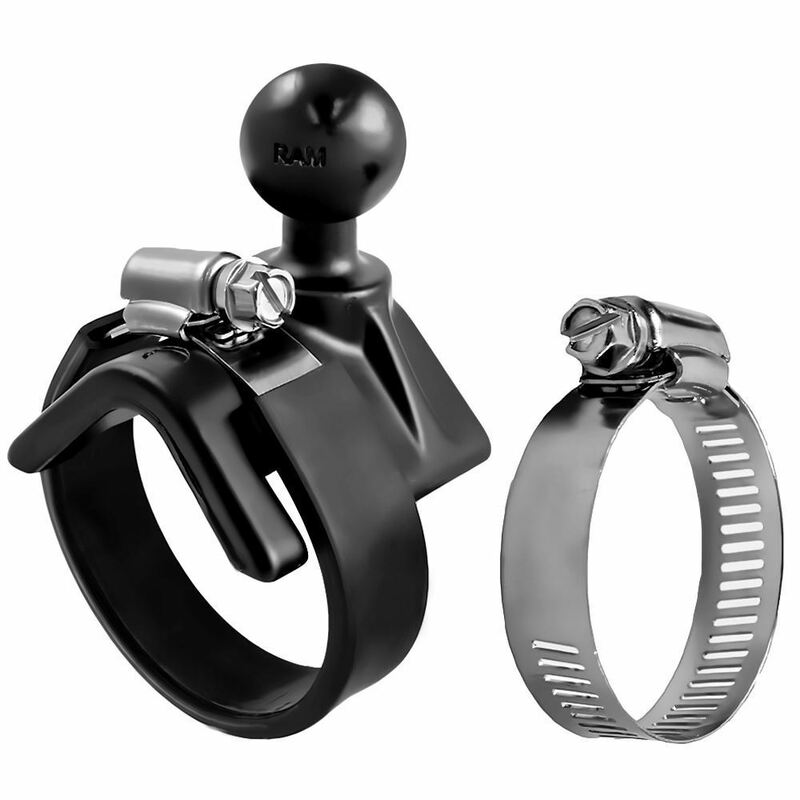 The RAM-B-108BU RAM V-Shape Base with 1" Ball for Rails & Yokes from the RAM Mount Bases range is made of a 1” diameter rubber ball that is joined to a v-shaped base at a right angle. It can be used for rails that are sized 1.0” to 2.1” in diameter. This product works perfectly with Beechcraft airplanes as a mounting base. Just fasten it around the rail and plate to secure.